This is a Drawing. It is dated ca. 1785 and we acquired it in 1958. Its medium is brush and gouache on cream paper; verso: graphite. It is a part of the Drawings, Prints, and Graphic Design department. 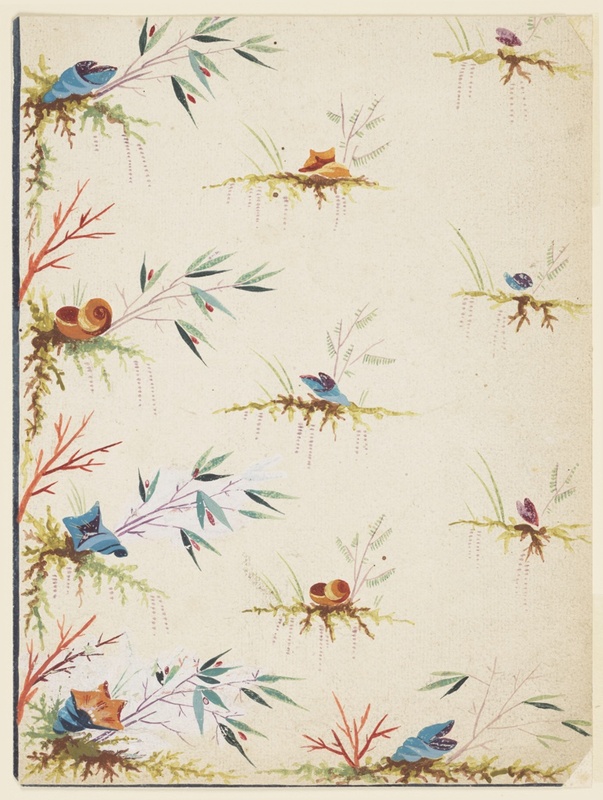 This design closely resembles the nearby waistcoat panel that has light brown shells resting on beds of moss. The squiggly brushwork, in shades of green and brown, suggests the use of chenille, a fuzzy thread commonly used to depict moss on waistcoats. This object was catalogued by Carey Gibbons. It is credited Gift of Catharine Oglesby.